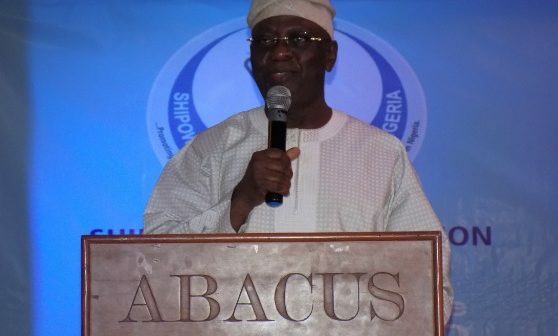 A former Managing Director of the Nigerian Ports Authority (NPA), Chief Adebayo Sarumi has advised the members of the Shipowners Association of Nigeria (SOAN) to work not to satisfy only the International Oil Companies (IOCs) who he said were their principals but also to work to satisfy Nigerians who still want to carry their cargo in Nigerian owned ships. 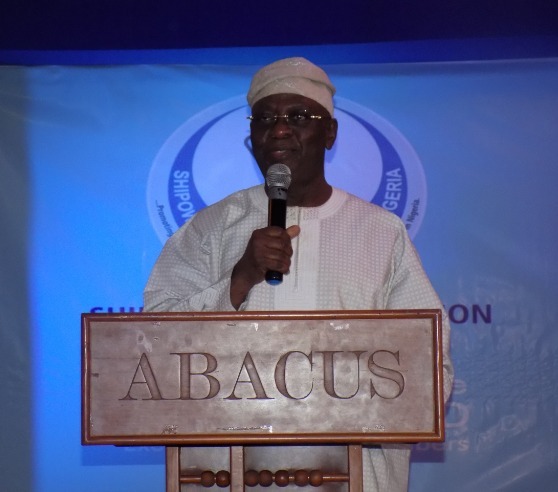 Sarumi who gave this counsel shortly before the inauguration of the new SOAN executive in Lagos on Friday reminded the shipowners that ownership was not only limited to where they were rather they should endeavour to extend it to other sectors. In his words,” But don’t forget what I always say, it is not only the IOCs that are expecting you to perform, the rest of us Nigerians that are cargo owners are expecting to carry our cargo in your various bottoms. So, whatever is it that you do in addition to ensuring that you satisfy the IOCs who are your principals in the first instance, please remember that the rest of Nigerians still want to carry their cargo in Nigerian ships and therefore, ownership is not only limited to where are, please extend it to other sectors”. Sarumi who reminded them that the foreign ship owners did not want Nigerians to form an association of ship owners as they would prefer to continue to monopolize the scene, however said, “but you have come now and have been able to convince the stakeholders particularly the IOCs that Nigerians could indeed run shipping companies and run them better and indeed I am very proud of you”. “I want to let the stakeholders know that they have only seen the tip of the iceberg in terms of service rendition by this very illustrious Nigerians. I know where we were five years ago and I know where we are today and I can assure you that we are going to go a little better than we are able to go today and I want to assure Prince that when African Shipowners are emerging, Nigerians are going to be the ones that are going to lead them. “We do know for sure that we have all it takes in terms of manpower, in terms of equipment, in terms of service rendition, in terms of quality of services that we have to offer. We are going to lead the Africa Shipowners just in the same way God has made it possible for Nigeria to lead Africa. It is not only in terms of our geographical spread or our population or our economy alone, in the field of shipping, we are going to lead Africa and SOAN is going to be the forerunner and trailblazers of those who will do that job for us. “I am happy that the election is without rancor and that is because all of you believe in the ability of those who put themselves up to contest the positions that they are capable of running and keeping the vision, the mission and the quality of leadership that you have been given which is what is making Nigeria to be extremely proud today. I want to thank you very much for that. “Let me thank you all, members of SOAN that you made the change of baton as peaceful as you made it. We all knew what happened five years ago and as a matter of fact, let me be frank with you, I thought we might be in for another repeat performance of what happened by then but I now know why it did not happen, thank you very much indeed, our INEC, God bless you. But beyond Margaret’s (Orakwusi) ability to handle the situation, is the willingness of all of you to keep SOAN going higher and higher. “You have seen that together you have been able to achieve quite a lot and because you have been able to achieve quite a lot that you want the next executive to carry you to the next level and you own type of next level is a serious minded next level and I am pretty sure that those for whom you are performing you services, they are watching you, they are quite satisfied with the quality of service that you have given. I can only ask you that in the same manner please ensure that you continue to give the service”, he added. Send your news, press releases/articles to augustinenwadinamuo@yahoo.com. Also, follow us on Twitter @ptreporters and on Facebook on facebook.com/primetimereporters or call the editor on 07030661526, 08053908817. © 2014 – 2018 PrimeTime Reporters. All rights reserved.